You guys, I have felt like a crazy person these past few weeks getting ready for our move. For some reason it hit me about two weeks ago that I couldn’t take much of my pantry inventory and I have been dead set determined to use as much of it up as possible. 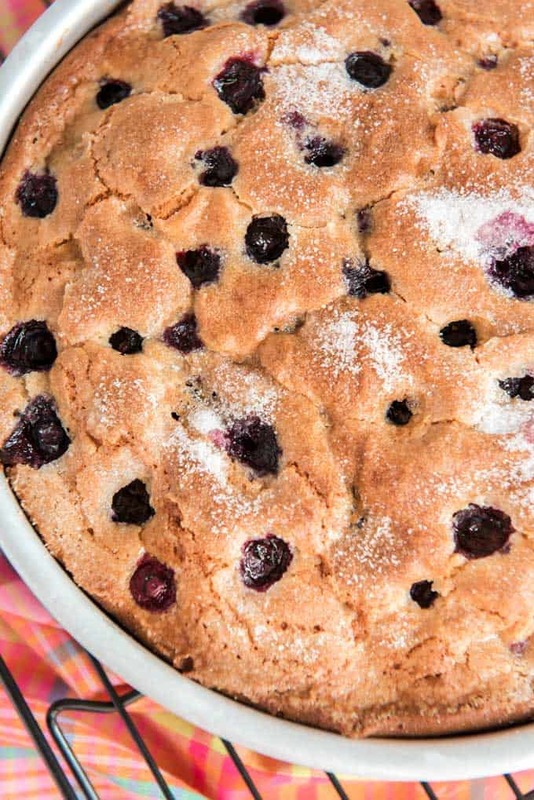 No lie-when I took the pictures of this Blueberry Cake I had THREE CAKES in my kitchen! I can’t eat three pieces of cake let alone three entire cakes! For what it’s worth, this was my favorite of the three personally-it is very light and flavorful. Blueberries are my favorite so I love how many top this beauty. Plus there are no fancy-schmancy ingredients so if you have blueberries you can probably whip it up with what you already have at home-that’s the kind of recipe I love! I hope you enjoy this cake! 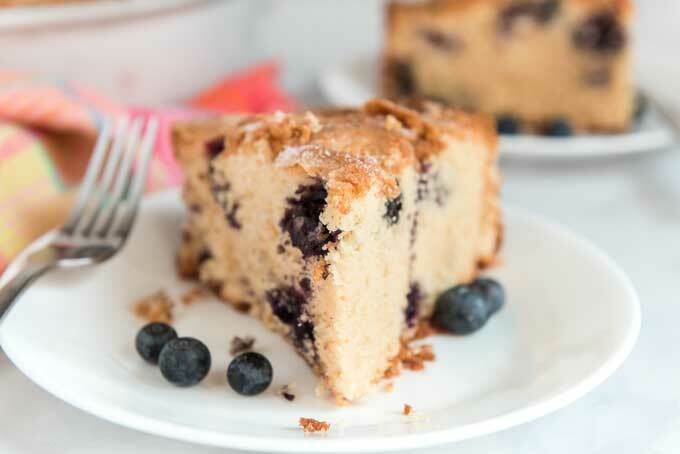 Amazing Blueberry cake is sweet, moist and perfect for coffee or dessert, especially in the summer when berries are plentiful! Can be served hot or cool. Generously butter an 8 inch baking dish. Top batter with blueberries, tapping lightly to set into batter. I wish I lived closer. I would enjoy helping you eat these sweets. I wish you were too Janine, we had to throw all the food the mover’s wouldn’t pack out today and it was heartbreaking, I hate wasting food! Wish I lived closer too but I would take three days to get to you as I am in Auckland New Zealand! Gorgeous crisp winter weather, sun is shining but those southerlies turn cold at night, almost frosty!! We’re about to get quite the cool down when we move from the US to the UK this month-I hope one day to make it to your neck of the woods, I’ve heard it’s amazing!